Open ring made of solid 14K gold. Women’s open ring with a smooth finish. 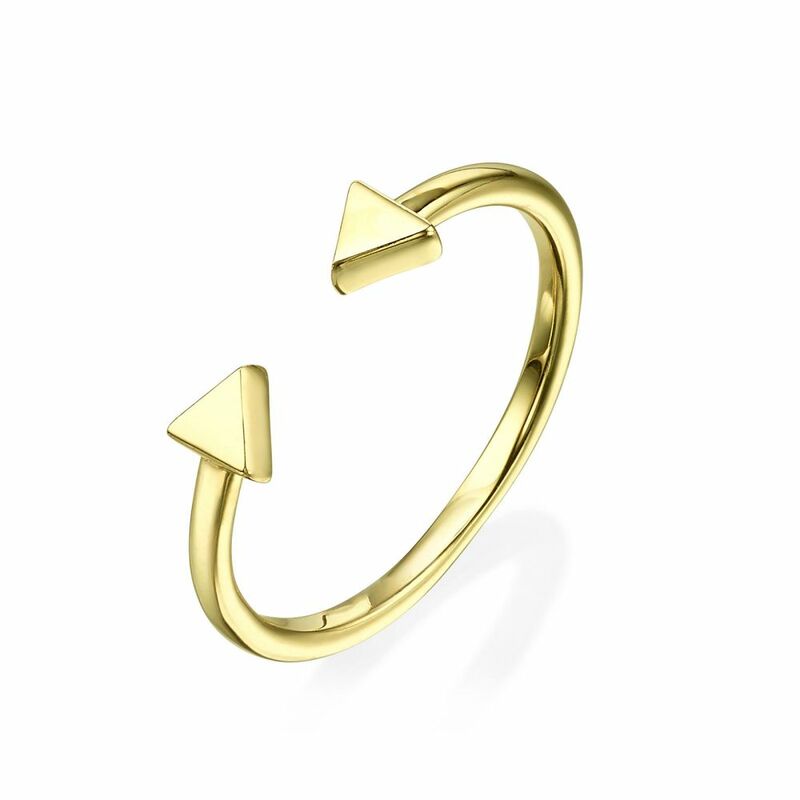 The two sides of the ring are finished with three-dimensional gold triangles. 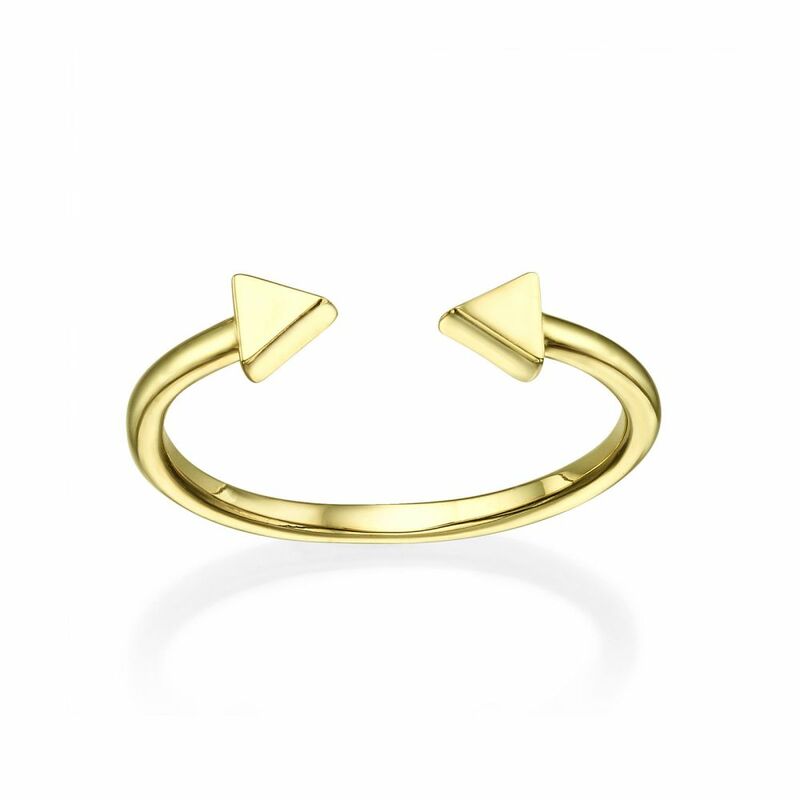 ♥ Open ring made of 14K yellow gold. ♥ Due to the unique design of the ring, the sizing can be personalized - make a slightly smaller or a slightly larger. ♥ Decorative element size: 0.17x0.15 Inch.